It was a year to the day since the Northridge earthquake. I was sitting in the office, a young, fresh faced manager, on what seemed liked a regular morning in Tokyo. My boss arrived and mentioned there seemed to have been an earthquake in the western city of Kobe and two people had been reported killed. Over the weekend there had been a brace of sizable earthquakes in Tokyo, one large enough to disable the gas supplies that are on automatic trip switches in modern buildings. And the morning carried on as normal. I was sent out to a clients office just before noon, a bank based in Kamiyacho, a financial suburb of the city. When I arrived the office was silent, everyone standing watching one of the many TV screens around the room. 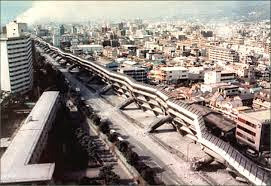 The Kobe earthquake had been so extreme it had destroyed the sensors alerting the country to the disaster. Only slowly was the information trickling out. The Korean Government had established an emergency team by 9.00AM when the Japanese PM was said to still be in bed. The Cabinet had yet to meet. Over 600 were now being reported to have died. We all left work early that day. I went home and switched on the television, putting a tape into the recorder. 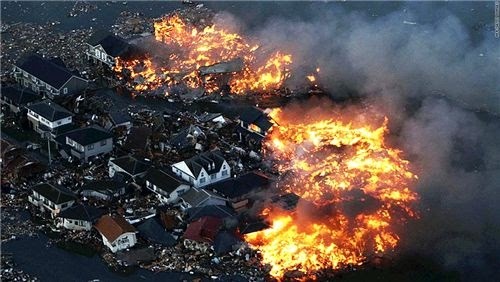 For the next eight hours I watched as the city of Kobe burned; the full extent of the disaster only becoming clear as night fell and the scale of the fires could be seen. The highways had collapsed and the city of Kobe was burning to the ground as the gas mains ruptured. There were heroes and villains that day but today, twenty years on, it is just time to take a moment and reflect on what could have been, but wasn't. Over 6,000 died that day. I still have the tape.